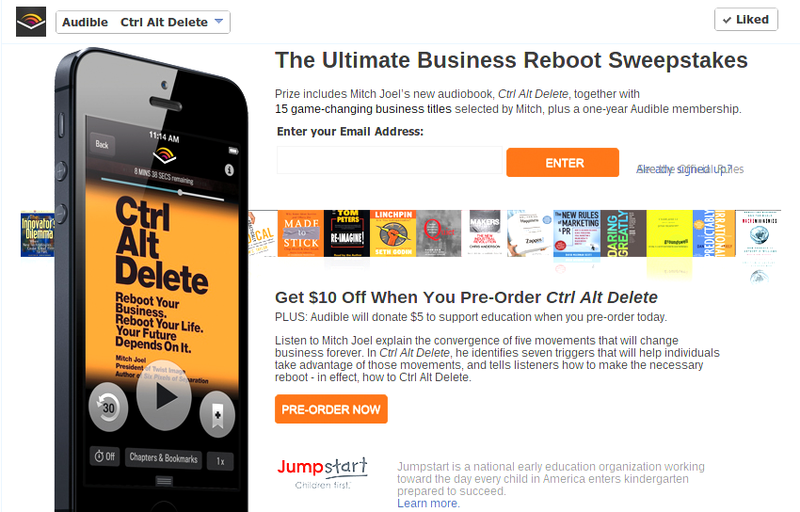 Mitch Joel’s new audiobook, Ctrl Alt Delete: Reboot Your Business. Reboot Your Life. Your Future Depends on It. If you’re a fan of audiobooks this is worth checking out. You can enter the sweepstakes here.